The description of Africa as a continent in perpetual crisis, ubiquitous in the popular media and in policy and development circles, is at once obvious and obfuscating. 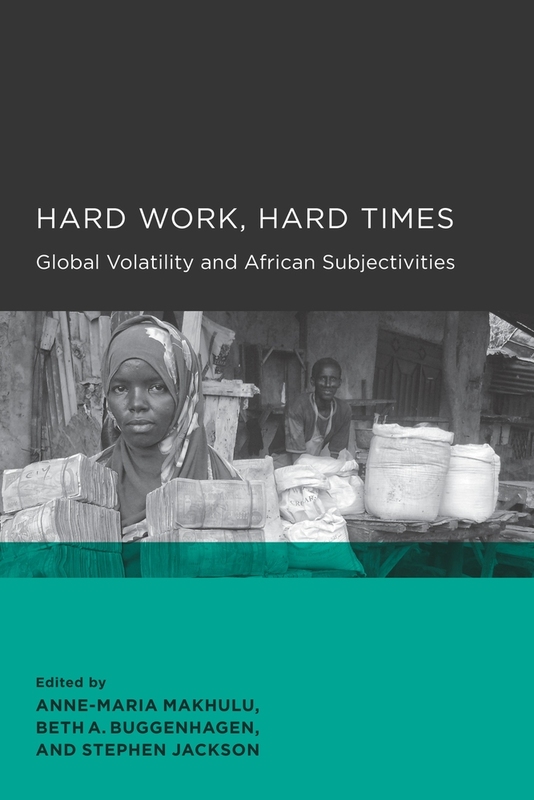 This collection by leading ethnographers moves beyond the rhetoric of African crisis to theorize people's everyday practices under volatile conditions not of their own making. From Ghanaian hiplife music to the U.S. "diversity lottery" in Togo, from politicos in Côte d'Ivoire to squatters in South Africa, the essays in Hard Work, Hard Times uncover the imaginative ways in which African subjects make and remake themselves and their worlds, and thus make do, get by, get over, and sometimes thrive. Anne-Maria Makhulu is assistant professor of anthropology and African and African American studies at Duke University. Beth A. Buggenhagen is assistant professor of anthropology at Indiana University. Stephen Jackson is senior political affairs officer for the United Nations Africa I Division.